Join our Mug Club Now Only 18 Points! 38 points Now just 29 18 points if you purchase this semester! In January it goes up to 20 points. 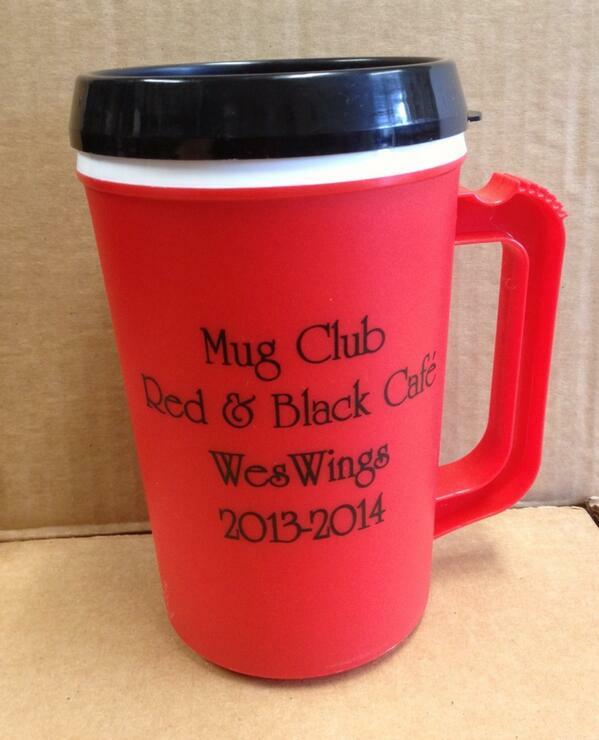 The mug is good until the end of the spring semester May 2014. Fountain soda and iced coffee. Bottled drinks, hot coffee, iced tea, chai and espresso drinks are not included. No, there is only a one time fee of 38 points. After that, simply come to the counter and ask for your drink. To avoid people abusing the system and sharing with friends we technically limit to one refill per visit. We usually are pretty flexible on this. This entry was posted in Uncategorized and tagged deals, mug club by weswingsguy. Bookmark the permalink.